Shirts With Random Triangles: Tray Matthews, and three Georgia football players charged with theft by deception enter pre-trial intervention program. 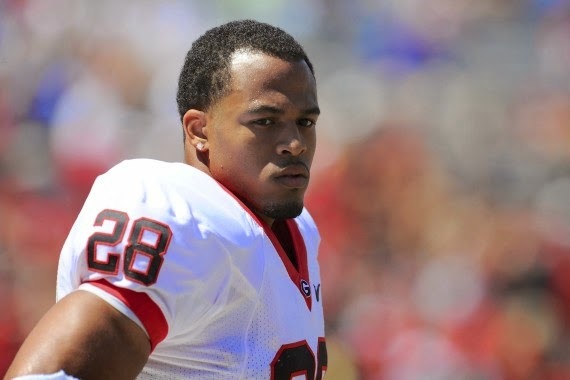 Tray Matthews, and three Georgia football players charged with theft by deception enter pre-trial intervention program. Tray Matthews. Photo via Gamedayr. Two current and two former Georgia football players accused of theft by deception have entered a pre-trial intervention program. The four players appeared in Clarke County State Court in Athens, Ga. on Thursday afternoon. Few details of the program are available, but presiding Georgia State Court Judge Ethelyn Simpson explained to the four players that while they were not on probation, would be under the supervision of a probation officer. The three of the players, former Bulldog safety Tray Matthews, current Bulldog linebacker James DeLoach, and current Bulldog defensive end Jonathan Taylor, were arrested in March for cashing student stipend checks that had been issued by the UGA Athletic Association after having already electronically deposited them in their bank accounts via a banking app. Former Georgia wide receiver Uriah LeMay was accused of attempting to cash a fellow Georgia athlete's previously discarded checks. The four faced misdemeanor charges of theft by deception. LeMay faced four charges, Matthews three, and DeLoach and Taylor each faced two charges. Matthews was dismissed from the Bulldog football program on Tuesday following an incident during class. LeMay has transferred to Charlotte.